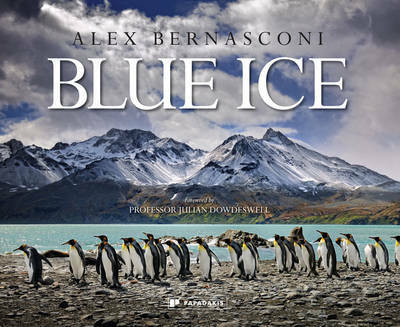 Blue Ice is the new book from photographer Alex Bernasconi whose unique approach to wildlife photography has been honoured with multiple prestigious awards. Bernasconi's breathtaking panoramas reveal the spectacular beauty of the Antarctic landscape shaped by its extreme climate, while his wildlife portraits depict the surprising diversity of Species, highly adapted to the challenging conditions in which they live. A foreword by the British glaciologist Professor Julian Dowdeswell, Director of the Scott Polar Research Institute, explains the dynamics of the geography and ice masses, and the effects of climate change, while Dr Peter Clarkson draws on his personal experiences as a member of the British Antarctic Survey in his introduction, which also recounts the challenges of working and living in one of the harshest environments on Earth. Blue Ice provides a remarkable Visual record of an eco-system at risk, revealing the extraordinary, unexpected beauty of the Antarctic, the most remote and endangered place on Earth.